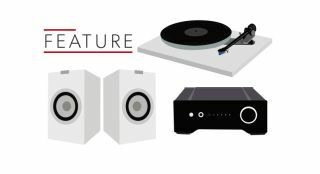 Best turntable system under £2000 | What Hi-Fi? One of the many things that make vinyl a unique format for storing and playing back music is how wildly variable performance can be. What you use to play your records can make a huge difference to the sound you end up with. The widespread resurgence of vinyl’s popularity undoubtedly has as much to do with fashion as it does sonic performance, granted - but there is never, never an excuse for ploughing into your records with a Crosley Cruiser. And if you were to buy a turntable on name alone, the Rega Planar 3 is as good a name as any in which to place your faith. The original was launched in the late 1970s, and since then its subsequent iterations have remained among the obvious choices in the class. The generational changes have always been about steady evolution, with the aim of improving performance - but, by the company’s usual standards, the shift from the previous RP3 to this, 2016’s Planar 3, is seismic. Just about every part was revised to give a proper jump up in sound quality. It starts with the glossy plinth, made more rigid thanks to a pair of phenolic braces on the top and bottom surfaces that strengthen the area between tonearm and brass main bearing. The arm may look familiar, but here too Rega has rung the changes. It’s now called the RB330, and has a new bearing housing and redesigned arm tube. It’s pretty much a new design, then. These revisions aim to improve rigidity, control resonances and reduce friction – all good things for sound quality. The bias arrangement is clearer now, as are the markings on the spring-loaded dial that sets the tracking weight. This new arm also has better quality output cables, and classier plugs. Rega will supply the Planar 3 without a cartridge for £550, but our sample has the company’s long-running (and rather good) Elys 2 moving magnet option fitted. The cartridge works so well as part of the package - we would advise anyone to spend the extra. Once up and running it doesn’t take long to realise Planar 3's two-year development has paid off. To our ears it sounds considerably cleaner and clearer than its talented predecessor. There’s greater transparency here, and more resolution of detail too. It also becomes clear the engaging musical character of the last generation hasn’t been diluted at all - if anything, this new version is even more fun. It’s right at home with all types of music. There’s scale here, and a surprising dose of authority without sacrificing any organisational nous. Large-scale dynamic shifts are delivered with enthusiasm, while shifts of a subtler variety are handled with finesse. There is, of course more to hi-fi pairing than simply staying on brand and on budget. But it so happens our natural go-to amplifier in this setup is the Rega Brio. Now in its sixth generation (the original Brio first launched in 1991), the latest Brio feels both familiar and completely new. It’s been redesigned, but in a way that harks back to the retro style of the older Brios. It remains an analogue-only amplifier, but at least it finally has a headphone socket. And, most crucially, it sounds terrific. Everything we loved about the Brio-R is here: its incredible sense of rhythm, the punchy dynamics, agility, detail and fun. The new Rega Brio takes all of those essential qualities and hones them even more finely. As a result the sound it produces is clearer, more detailed and more muscular. Cambridge CXA60 vs Rega Brio: which is better? The final component in this system is another refining of a former Award-winner: KEF’s Q350 standmounting speakers, which have also seen almost every aspect redesigned for a more sophisticated, refined presentation. What looks like a single driver is actually a 25mm vented aluminium dome tweeter sitting in the throat of a 16.5cm aluminium mid/bass driver. This single point-source arrangement is designed to improve both integration between the drivers and the way sound is dispersed. The distinctive 'tangerine' waveguide on the tweeter helps distribute sound evenly. The latest evolution of the Uni-Q driver also features a damped tweeter loading tube – derived from KEF’s high end Reference series – to soak up unwanted activity from the back of the dome. It’s designed to improve the quality of the high frequencies. Other tweaks have been made to the motor system and shape of the mid/bass cone to help reduce distortion. The Q350s’ stunning levels of clarity and detail retrieval eke every last drop from their equally talented co-components. They can match the Regas’ scale, timing and dynamics while keeping enthusiasm in check - they never threaten to become overbearing. Aesthetically, this trio is among the least assuming of all the systems we’ve put together in this series, but that belies their sonic strength. If you thought vinyl was all cracks, pops and fuzziness, this set-up is more than capable of changing your mind. Even with an amplifier/speaker combo totalling more than a grand, we’d suggest this affordable player. Its affinity with the Rega Brio will feed the Q350s with great heft, without sacrificing either’s refined sense of dynamics. This is an affordable, easy-to-use way to introduce streaming to your system. As well as its vast streaming service support and multi-room options via the Arcam app, it will accommodate files up to 24bit/192kHz and deliver them in an insightful, solid manner.